In my own opinionated little head, which admittedly frequently bears little resemblance to reality, I like to think of Champagnes as being grouped according to the brand image they wish to convey to the public. On one extreme of the scale, you have brands such as Armand de Brignac and Louis Roederer Cristal, whilst at the other you have the likes of Pol Roger and Billecart Salmon. This isn’t an issue of promotion since virtually every champagne house engages in some level of event sponsorship whether it be polo or pole positions; it’s more an issue of brand credibility. Just as I can’t see the folks at Armand de Brignac being too bothered about tendering for a three second product placement spot in the next James Bond caper (although after the Heineken palaver from Skyfall all bets are probably off), I also imagine that the guys at Pol Roger would frown upon finding pictures of a premiership footballer stumbling out of a nightclub in the early hours with a bottle of Cuvée Sir Winston Churchill in hand splashed across the tabloids. Maybe I’m being naive though and it’s really all about the Benjamins baby. Well it was for Cristal anyway which got three distinct mentions in that Puff Daddy (as he was known back then) track. Some Champagnes are exempt from all this of course. Krug views my scale from afar, safe in the knowledge that it transcends all this lark. Grower Champagnes also observe my grouping from the sidelines, scoffing at the whole idea of creating a brand image. The growers are not alone in this approach though, for I imagine that Pilipponnat, although usually grouped with the other Grand Marques, also pays little heed to brand image, preferring instead to place the focus on the quality of their Champagnes. At the recent Le Caveau artisan wine tasting in Dublin, I had the opportunity to taste a range of these Champagnes. 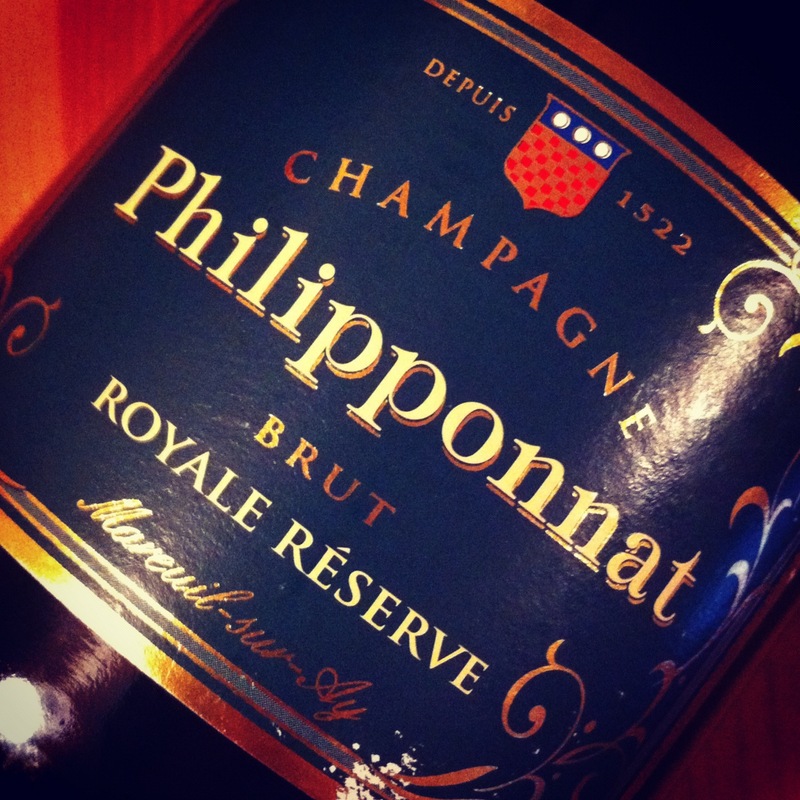 When I asked the Philipponnat rep about their house style, he stayed away from the marketing blurb about a balance of structure and freshness and instead focussed on two factors that are so often neglected by those discussing Champagne – grapes and terroir. Although the Royale Réserve Brut and Royale Réserve Rosée were both good, I particularly enjoyed the Grand Blanc 2004 and Clos Des Goisses 1999. Clos Des Goisses is the jewel in Philipponnat’s crown, a single vineyard Pinot Noir dominated bottling. The 5.5 hectare, walled, southerly facing and steeply sloping vineyard (30-45 degree slopes) holds a beneficial geographical position where the Côte des Blancs, the Grande Vallée de la Marne, and the Montagne de Reims meet. When combined with deep chalky soils and an average vine age of 30 years, this yields Champagnes of considerable aging potential. 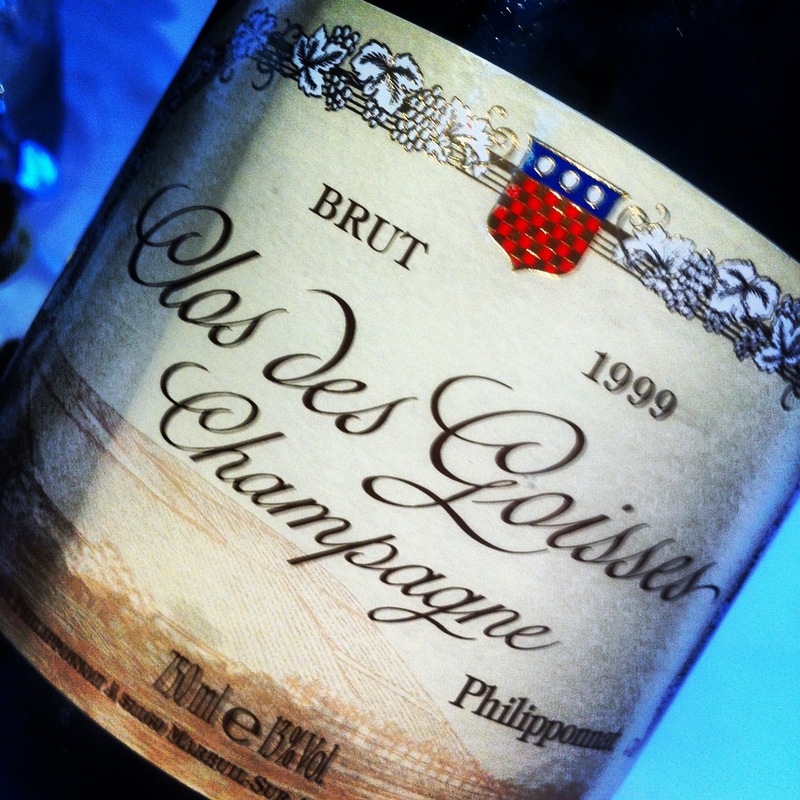 Although quite restrained on the nose, the palate of the Clos Des Goisses 1999 revealed a great richness and complexity. Despite the richness and intensity on the palate, there was also an undeniable streak of freshness and although I’m trying to get away from playing the “name that flavour” game, I found that there was an appealing nuttiness that ran through the exceptionally long finish. Despite all this, the whole package was still a little tight and I think this might benefit from further cellaring. Perhaps interestingly for a Pinot Noir dominated house (although all the wines contain at least 30% Chardonnay), the Grand Blanc vintage is 100% Chardonnay. This is partially explained by the fact that this is the only champagne in the portfolio that sources grapes from other growers, although quality is assured as the grapes are obtained from 1er Cru and Grand Cru villages of the Côte des Blancs and Montagne de Reims, which are then blended with some white Clos des Goisses. I really liked the Grand Blanc 2004 for its overall balance and elegance. Although somewhat bready on the nose, the palate was precise, with good freshness and well-defined minerality. My notes from the tasting recorded a dosage of 5g/l, but the Philipponnat website lists the dosage for this vintage (and there was some initial confusion as to whether we were tasting the 2000 or 2004) as 8-9g/l. This surprises me because there seemed to be a marked difference on the palate between this and the Royale Réserve which has a 8g/l dosage, so much so that it lead me to immediately query it. In any case, I imagine neither James Bond nor P. Diddy would care about dosage levels. P. Diddy was right about one thing though – it’s all about the Benjamins and at €64.15 (GB) vs. €161.25 (CdG), the Grand Blanc 2004 is definitely the one for me. 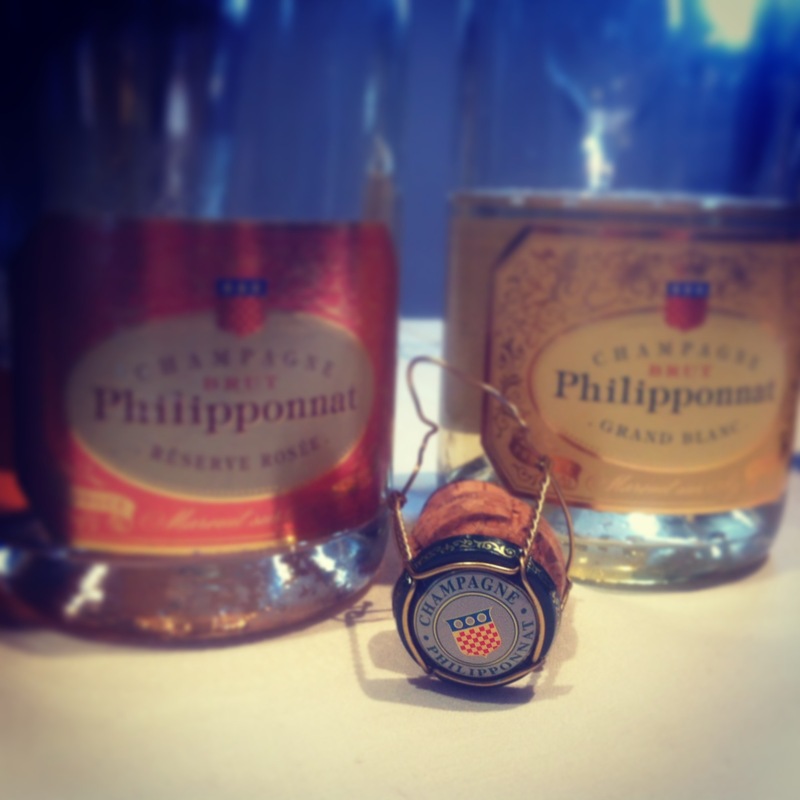 Philipponnat Champagnes are imported to Ireland by Le Caveau in Kilkenny. References: The Finest Wines Of Champagne, Michael Edwards.